Wildewood Properties began adapting to the new economies of government contracting by adding Executive Suites to the premier office space in Expedition Park, the closest, premium commercial office space to the main gate of Naval Air Station Patuxent River. The Executive Suites at Expedition Park provides a professional face and a full-service facility in a flexible space able to fit a small firm’s needs. And the majority of the first Executive Suites are leased. Conference room and kitchenette access provides a full-service office atmosphere at one of the most respected addresses in the Patuxent River government contracting industry. The Expedition campus is next door to the primary access to NAS Pax River, location of the headquarters of the Naval Air Systems Command. Known as NAVAIR, this command develops, acquires, and supports naval aeronautical and related technology systems. 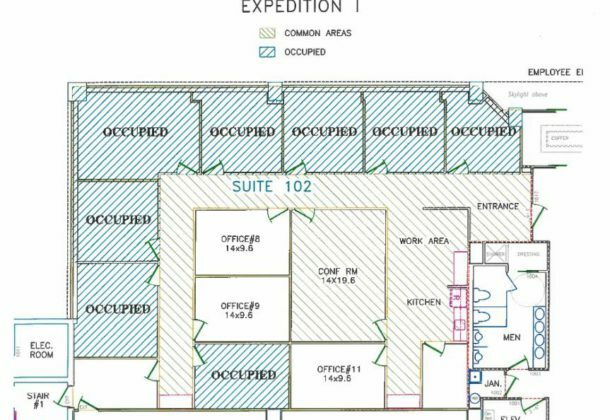 A variety of space is available at the four-story Expedition Office Park on Three Notch Road, neighbor to the naval air station and also neighbor to the new Patuxent River Naval Air Museum. Expedition Park shares its campus with Elements, which offers affordable gourmet dining for lunch, dinner, and private parties. With negotiable rates and secure space, Wildewood Properties offers a wide variety of office, retail, and warehouse space stretching from the newly opened University of Maryland Unmanned Automated Systems test site at the St. Mary’s County Airport in Hollywood, MD, to Gate I of the Naval Air Station Patuxent River. The new UAS test site is less than a mile from Wildewood Group’s headquarters at 44401 Smoke Hill Drive in California, MD 20619. In addition to suites at Expedition Park at 46610 Expedition Drive in Lexington Park, MD, Wildewood Properties manages offices in the Exploration Office Park across the street. Wildewood Group has developed, leased, and managed more than 1.5 million square feet of office, retail, and warehouse space throughout Southern Maryland. The firm’s expertise was honed by the requirements of the secure, government contracting industry that serves the missions operating out of NAS Pax River and elsewhere in the world. For more information, call 301-863-6655. To learn more about Wildewood Group, visit their Leader Member page.